Phuket is a beautiful collection of islands off mainland Thailand and is a vacation destination filled with stunning views, historical sites, and fun attractions for the entire family. The great thing about Phuket is that visitors can explore everything it has to offer, no matter how small or large a budget. Other than the beautiful things to see and do, the beaches in Phuket deserve to be acknowledged on their own; the crystal-clear waters and golden sands make it one of the most beautiful places in the world to sunbathe, swim, snorkel, scuba dive, or participate in other water activities. 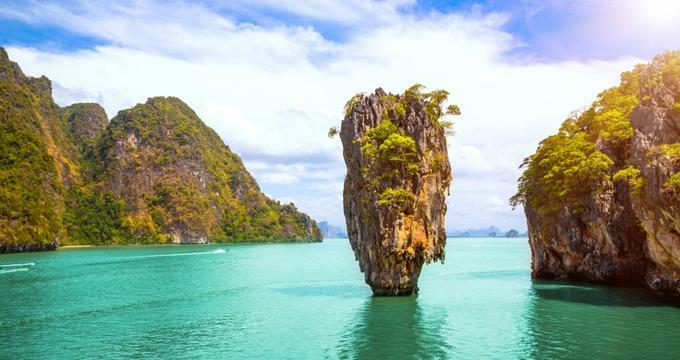 Some attractions that shouldn't be missed include the 45-foot-tall Big Buddha, the fishing village of Ko Panyi, Old Phuket Town, and the Phi Phi Islands. 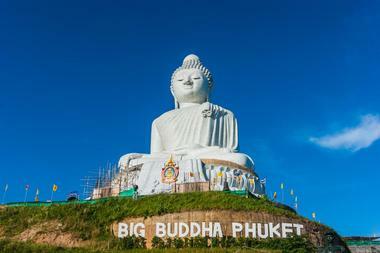 The Big Buddha in Phuket is a large statue of the Lord Buddha made from concrete and white marble. The statue towers over 45 feet high and visitors can climb to its base to see incredible panoramic views of their surroundings. Though it is open from 8:00am to 7:30pm daily, the best time to go is around 6:00pm to catch a stunning view of the sunset. To explore the Big Buddha, visitors must remember to dress conservatively and wear comfortable shoes to climb the steps up Nakkerd Hills. Visitors will also be able to explore the museum, which is dedicated to the history of the Big Buddha, as well as purchase amulets and other trinkets. 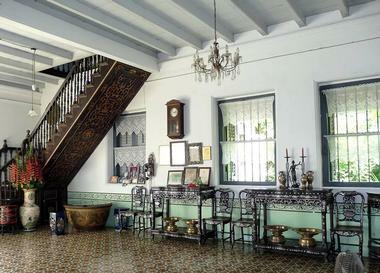 The Chinpracha House is a Sino-Portuguese house that was built in 1903 by Pratipak Chinpracha. The house was built in Angmor Lounge style and is one of the few remaining that is in perfect original condition. 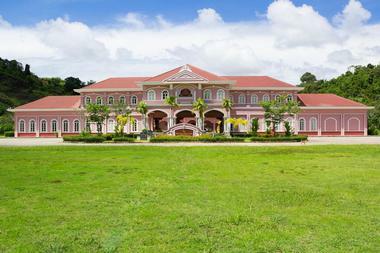 Listed as one of the top 18 nicest mansions in Phuket, the lower floor of the Chinpracha House is open to the public for 130 baht. Visitors will be able to see the museum-like space, filled with items that have been collected over time, including the original furniture that was imported from Europe over a hundred years ago. Other artifacts are old photos, heteroclite, and other private items the owners purchased in the past. The only dolphinarium in Phuket, Dolphins Bay is a unique place that lets visitors get acquainted with the majestic dolphins that live there. Dolphin Bay is a fun way to spend the day with the entire family and is considered one of the best attractions in Phuket. 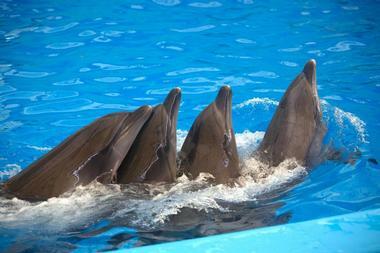 The 45-minute dolphin and seal show is a great experience that allows visitors to see the talented animals perform. Other activities visitors can participate in include swimming or diving with the dolphins or having a royal photoshoot with these beautiful creatures; all activities are conducted to the highest professional standard to ensure guests have an exciting time. Flying Hanuman is Phuket's best zipline adventure with over 28 platforms for visitors to choose from comprising fifteen ziplines, two sky bridges, two abseil points, three spiral stairways, and a sky rail. 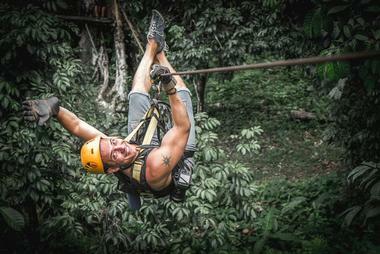 The platforms are custom-made from wood to fit into the nature that surrounds it, while the ziplines are some of the most exciting in all of Asia. There are different packages for visitors to choose from based on what they like to do, and all packages include a delicious lunch and seasonal fruit to complete the day. The trained professionals at Flying Hanuman ensure that visitors have a great time while providing exceptional and exciting services for visitors to explore the beautiful land of Phuket. Those who going to Phuket on a holiday shouldn't miss the opportunity to stop at the popular Karon Viewpoint on the Hill of the Three Beaches. The beautiful Karon Viewpoint provides visitors with spectacular panoramic views of all three bays, including Kata Noi Beach, Karon Beach, and the Promthep Cape. The point is extremely easy to access and there are tiny shops dotting the entrance along with traders selling accessories and other trinkets. 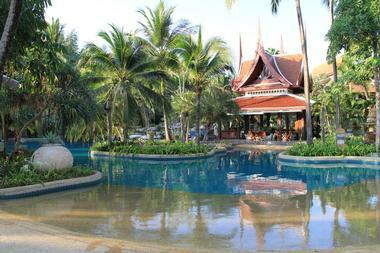 Visitors will be able to take beautiful photographs to capture the beauty of their trip to Phuket. Getting to Kathu Waterfall is almost as exciting as actually arriving there. Visitors have a long climb uphill to get to the series of drop pools that can be found at the top. Once there, visitors will be able to cool off by taking a dip in the pool; there are multiple smaller dip pools dotting the path to the top. 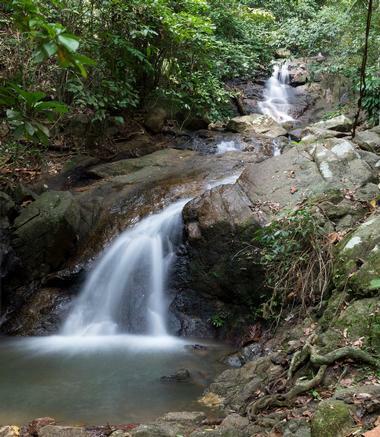 The best time for visitors to head to Kathu Waterfall is between June and November, when the water from the monsoon rains fills the pools to the brim; visitors shouldn't attempt the climb while it's raining because the trail can get rather slippery. Found in the Phang Nga Province, the fishing village of Ko Panyi is one of the most notable places in Thailand because the entire village was built on stilts over the water by fisherman. The settlement was established in the late 18th century but didn't become a popular tourist destination until recently. Visitors can explore the village, visit one of the local homes, have a freshly prepared seafood meal, or buy one of the many interesting souvenirs sold at the marketplace stalls. Other aspects that shouldn't be missed are the school and mosque, which were the first structures built on the land adjacent to the village. 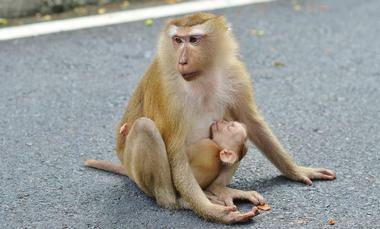 Toh Sae Hill, popularly known as Monkey Hill, is the highest hill in Phuket City. 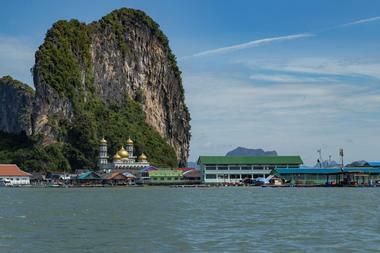 Visitors can head to the top viewing platform to see stunning sights from the Khao Toh Sae Viewpoint. Monkey Hill has become a popular recreation area in the recent years, and many locals and visitors head there daily for a refreshing jog or to work out in the basic exercise park. There are some interesting flora and fauna that visitors may run into, including the hundreds of macaques that live scattered throughout Monkey Hill. On the way back down, visitors can stop at the Green Forest restaurant for a delicious meal, a cold drink, and a nice view of their surroundings. 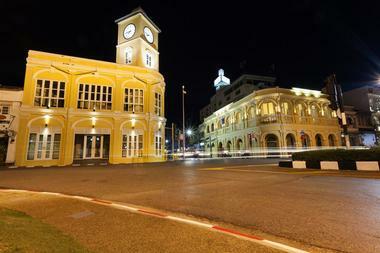 Old Phuket Town is a historical town that comprises a part of bustling Phuket City. The Old Town is famed for its beautiful Sino-Portuguese buildings, many of which have now been converted to museums, hotels, restaurants, and shops. While exploring, visitors will come across the Baba community, which is a unique group of people found nowhere else; these residents have their own style of dress and food as well as a different language. Attractions that shouldn't be missed while there are the Thai Hua Museum, the Phra Pitak Chinpracha Mansion, the Baan Chinpracha Museum, and the Phuket Philatelic Museum. 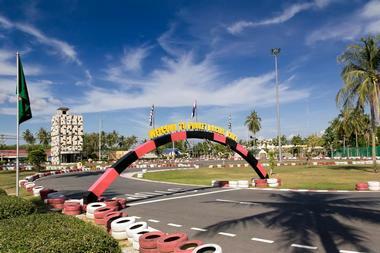 The Patong Go-Kart Speedway is a great place to spend the day and is often filled with locals and visitors. There are many recreational activities offered, including go-karting, buggy racing, riding the off-road buggy track, and other extreme sports. The Arrive and Drive is fun for all ages, while the Mini Grand Prix event involves practice and many races that lead to a final race complete with prizes. Visitors with extremely young kids who can't ride on their own can jump on a two-person go-kart so that everyone can have a good time. The off-road buggy track makes for a memorable event and includes fast speeds, flying over bumps, and plenty of splashes. Found on the Straits of Malacca right between Phuket Island and the south of Thailand's mainland, Phang Nga Bay is one of the most breathtakingly beautiful parts of the country. 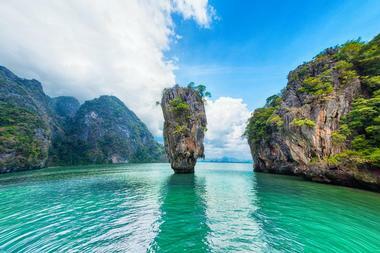 Much of the bay is protected by nearby Ao Phang Nga National Park, and visitors will see numerous caves, limestone cliffs, and various archaeological sites. There are many companies that offer kayak tours of the bay; the majestic experience allows visitors to glide through the cliffs and explore the enclosed lagoons, giving them a glimpse of nature at its best. One of the best parts is being able to go through the "bat cave" tunnel, where visitors can silently witness hundreds of bats = hanging above them. 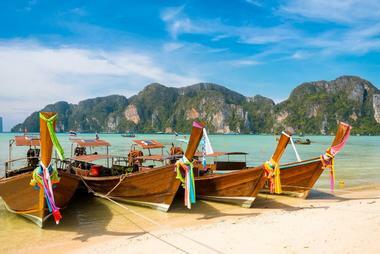 The Phi Phi Islands are an island group found in Thailand's Krabi province. The land was initially a fisherman village but is now mostly filled with coconut plantations. Once visitors get there by boat, they'll never want to leave; the azure waters and the majestic surroundings are the epitome of a picturesque exotic vacation. Some of the most popular attractions there are Pi Leh Bay, which is perfect for boating, snorkeling, or swimming, and Viking Cave, where visitors can see the hunting and harvesting of swiftlet birds' nests, a profitable local industry. Loh Sama Bay is one of the most famous attractions in the Phi Phi Islands because the crystal-clear waters make it perfect for scuba diving, especially at night. One of the most family-friendly attractions in Thailand, the Phuket Aquarium also doubles as a major marine biological research station and conducts research on commercial fisheries, tropical reef ecosystems, and hatching endangered sea turtles. Open daily, the aquarium is filled with various species of animals that visitors can meet in the many exhibits and the 10-meter-long underwater glass tunnel. Some of the zones allow visitors to see models of big and rare fish, get close to various marine animals in the touch pool, or see mythical mermaids in the underwater mermaid cave. More adventurous visitors can try out scuba diving in a safe and friendly environment. 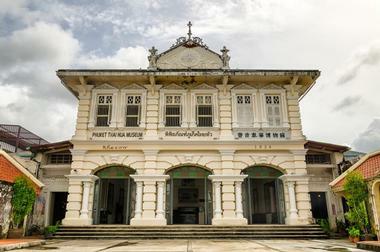 The Phuket Baba Museum, or the Peranakan Museum, in Phuket Town is a new addition to the collection of museums in Thailand. Established inside a 105-year-old Standard Chartered Bank building, the museum houses a great collection of art, clothing, and furniture from the Peranakan heritage. Visitors can start their tour with a short film that describes how the museum came to be and the history of the people and culture displayed. After that, they can go on one of the many tours scheduled throughout the day to learn more about the artifacts housed within the museum. 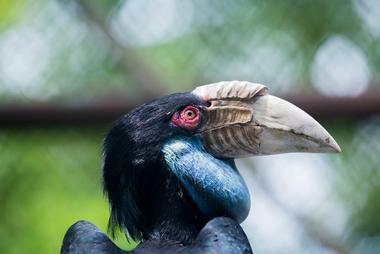 Phuket Bird Park is a spacious animal park that houses various species of birds in a lush, green setting. The colorful birds often participate in bird shows, which are exciting for visitors of all ages. The privately owned bird park sits on 12 acres of land and has birds from South America, Asia, and Africa. The park is filled with beautiful scenes, exhibitions, and waterfalls to mimic the birds' natural habitat. Visitors can walk around and see the birds in their natural state, take photos with magnificent creatures such as eagles and barn owls, and even feed the birds under the safety and guidance of the professionals at the park. 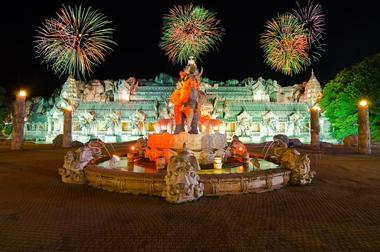 Having opened in 1998, Phuket Fantasea is a large nighttime cultural theme park that spreads over sixty acres of land. There are three main attractions including a shopping street, a theme buffet restaurant, and a cultural theatrical show. The Fantasy of a Kingdom' show is a favorite with visitors and lasts nearly 70 minutes; the combination of special effects and illusion techniques are absolutely stunning and make it one of the most memorable places from a trip to Phuket. The Festival Village shopping street is a great place for visitors to pick up souvenirs and other fun items, play some games in game town, or eat at one of the a la carte restaurants. Visitors can then head to the Golden Kinnaree which is one of the largest buffet restaurants in the world and try all sorts of different cuisines. The Phuket Mining Museum showcases the land's mining history as well as its mineral industry in a beautifully converted colonial-style villa. The museum is considered one of the island's most interesting because it contains everything from tin mine models to a re-created opium den. One of the most interesting exhibits is on the home of the miners, which gives a realistic look into the lives of their wives and children. There are many guides at the museum who are more than happy to take visitors around and fill them with interesting historical tidbits about the exhibits – this might be useful as the descriptions are only in Thai. The Phuket Trickeye Museum is open every day from 10:00am to 7:00pm and visitors should get there early because they can spend hours exploring the interactive museum. 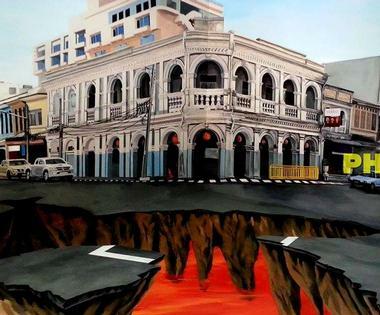 It is the first Trickeye 3D museum in Phuket and is known for stimulating the imagination and creativity of visitors. The 3D paintings use the trompe l'oeil technique and are modern and engaging; visitors feel like they are a part of the picture themselves. The masterpieces are beautiful, and visitors can spend their time taking fun photos and interpreting the pieces. The museum has been awarded a Certificate of Excellence by TripAdvisor and rightly so, as it is one of the best attractions for families in Phuket. Siam Niramit Phuket is an elaborate stage show with over a hundred actors and actresses in 500 different styles of costumes. The show covers many aspects of Thailand's culture and history and is a staple of Phuket's exciting nightlife. The show is filled with traditional arts, dance routines, and songs from all parts of Thailand. The performance lasts over an hour and gives visitors the opportunity to understand Thai culture and arts just by watching the beautiful performance. 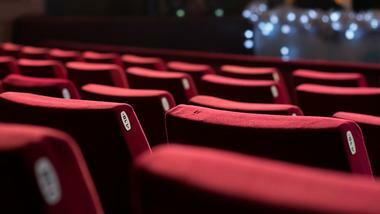 The special effects are spectacular, and visitors of all ages will love the educational and exciting show on hand. The Similan Islands are a group of islands in the Andaman Sea in southern Thailand. 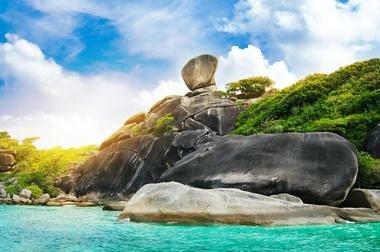 In 1982 it was commemorated as a national park titled Mu Ko Similan. Attractions there include Ko Similan, which is the largest island and is filled with a diverse species of fauna such as flying foxes and mangrove monitor lizards. Other attractions are the widest beach in the park, Ko Huyong, which is home to many sea turtles, and the dive sites scattered throughout the Similan Islands. The dive sites vary from sloping coral reefs to underwater granite boulders that visitors can swim amongst. 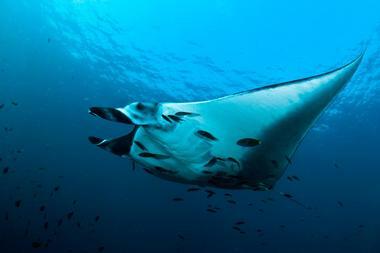 One of the most popular dive sites is Richelieu Rock, which is filled with an abundance of marine life. 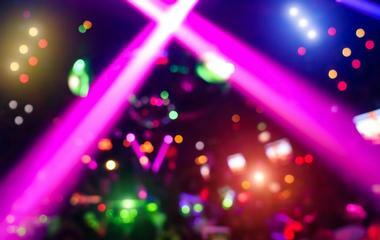 Visitors who are looking to experience the never-ending nightlife of Phuket need not go anywhere else but Soi Bangla. Filled with night clubs, beer bars, live music, and other events, Soi Bangla is the place to go for those who want to party all night long. Visitors can have drinks, dance, play bar games, and just have a good time with their friends. After dancing away in a hot night club, visitors can head to a breezy beach bar to cool off but continue the party. At the end of the night, there are many restaurants and food stalls to try some of the delightful delicacies from the area. Housed in a gorgeous Sino-Portuguese building in Phuket, the Thai Hua Museum is a great way to experience the island's art. Now a museum, exhibition space, and function hall, Thai Hua was awarded under the King's patronage for conserving the architectural arts. Visitors can walk through the exhibition halls and the inner courtyards, exploring the architecture, decor, and artifacts housed within it. Visitors will be able to see many machines and heavy tools from Phuket's tin mining years in the museum's garden. Visitors will also be able to watch many interesting Chinese and Thai short films in the museum. Thavorn Museum is a hotel and museum known for its 1960s architectural detail, decor, memorabilia, and curios. The hotel was the first built by the Thavornwongwongse family, who are pioneers in developing Phuket as a tourism destination. Visitors will be able to see an eclectic collection of vintage artifacts and memorabilia collected over the years. The quirky collection includes old fridges, typewriters, calculators, toys, and all sorts of decorations. 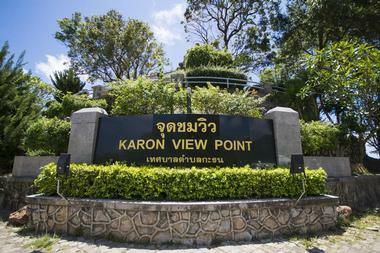 Doubling as a hotel, visitors can also spend a night at the fun and historical location, which is one of three hotels and resorts managed by Thavorn. 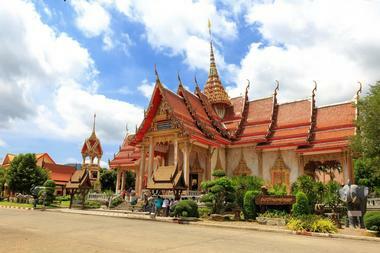 Wat Chalong is one of the most important Buddhist temples in Phuket. Formerly known as Wat Chaiyathararam, the temple is dedicated to two highly venerated monks: Luang Pho Chuang and Luang Pho Chaem – both of whom led the people of Chalong against the Chinese rebellion in 1876 and provided herbal medicines for those injured. Visitors will be able to see many beautiful paintings illustrating the life of the Buddha as well as various golden statues of him. As tokens of their visit, visitors will be able to buy souvenirs and trinkets at the temple or from the large market that extends into the temple grounds. One of the best parts of visiting any land is trying out the delicious local cuisine, but as tourists, it's sometimes difficult to find authentic food that really captures the flavors of the land. 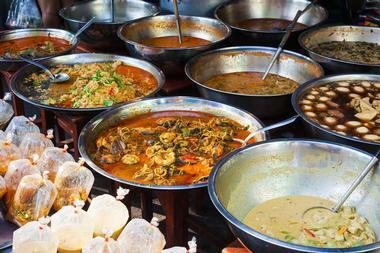 When in Phuket, visitors can relax and go on a culinary journey with Phuket Food Tours. Since 2011 Phuket Food Tours has shared their passion and love for Thai culture and cuisine with visitors from all over the world. Helping people discover local flavors and to "eat like a Thai" while seeing various historical sites on the way, the tour company visits carefully chosen restaurants all over Phuket. 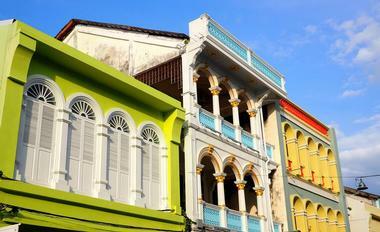 Some of the most popular tours are the Old Town Phuket & Peranakan Food Trail and the Phuket Night Food Tour.